The ever-stylish Will reveals his beautiful beach house-style kitchen on his popular blog, Bright Bazaar. In the piece, he says that his New York home, particularly his kitchen, makes him ‘misty-eyed’. That’s how much he loves it – and when you click on the link above, you’ll see why he does. He says: “The kitchen before was lacking surface space, light and practicality’, before going on to add that panel-ready appliances were key for the space. Custom cabinetry was next and the space is now absolutely swoon-worthy. 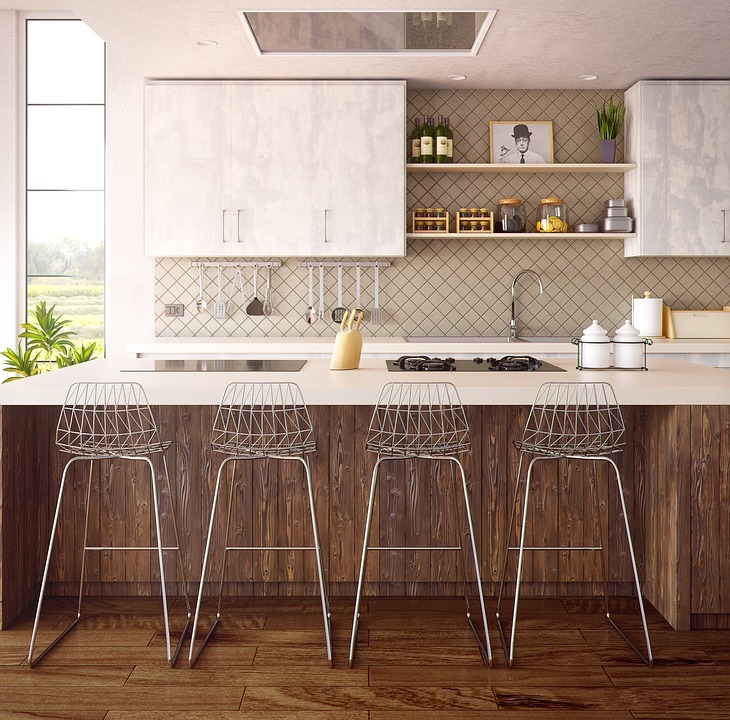 Prefer a kitchen that’s more rustic? 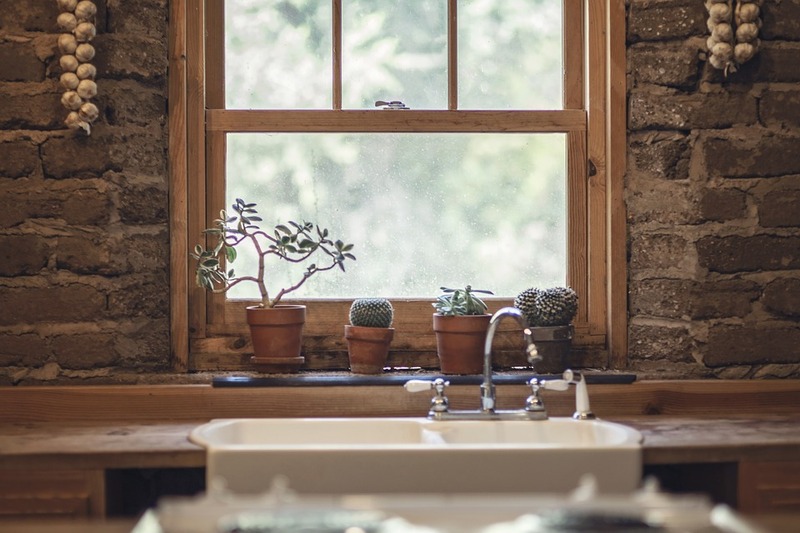 We found the below picture on Pixabay and we love the brick walls, wooden-framed windows and the addition of the cacti. Easy to look after, they add a welcome burst of life to any kitchen and can add interest to a bare corner of your space. Marble-esque cabinetry and wire-framed chairs take centrestage in this kitchen we found on Pixabay. We love the shelves in the centre of the room, too – practical and stylish. A splash of colour in the form of the greenery under the window really lifts the space, too. Like this kitchen? So do we. Advice includes using ‘banks of cabinets’ on the wall to offer an ‘abundance of storage’. You can still add a table of chairs into an L-shaped kitchen, just make sure you pick wisely to ensure it complements the space well. Minimise clutter on worktops, too, to make the room look bigger. Create a clutter-free kitchen by emptying your worktops of cookbooks and utensils and instead give a few well-chosen accessories pride of place. Another pic via Pixabay, the below kitchen exudes style. What do you think? If you’d like a space like this, start with a big decluttering mission. Empty out all your cupboards and start bagging up unused gadgets and utensils for the charity shop. If you have too many tins of food (that you know you’ll struggle to get through for a while), think about donating them to a local food bank. Now, only keep what’s necessary in terms of decorative items, giving them all a clean and polish before placing them back on your worktops. Are you following us on Facebook? If not, you can find us here. Plus, don’t forget to bookmark our blog by heading here. Click the link for recipe ideas, tips and advice and more – and make sure you head back to our blog every Friday for some brand new content. 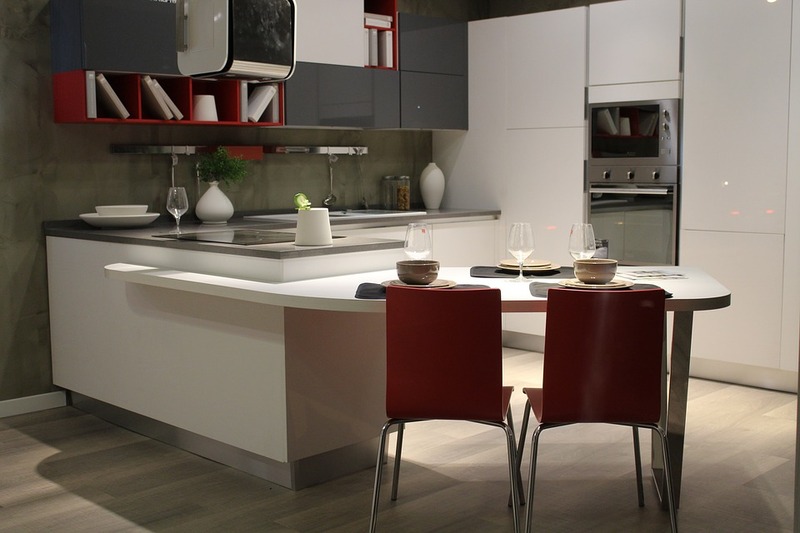 The post Kitchen Inspiration from Around the Internet appeared first on MyAppliances Blog. A professional with over 26 years experience working within the advertising and marketing communications industry. Practical knowledge, understanding and experience for a wide range of business disciplines including the financial services, legal, commercial services, retail, online, charitable and civil service sectors. I am that sort of a person who has the natural ability to provide excellent service within a challenging environment. My skills include copy writing, content-writing, creative writing, academic writing and blog writing. Business Updates Blog at WordPress.com.